Craig Moller is set to debut for the Boomers. AUSTRALIA will show Iran no mercy, determined to wrap up World Cup qualification on Friday night in Melbourne. The visitors, who like the Boomers need only one more win to book a ticket to China, have yet to settle on a squad amid talk of Iran saving players for Monday's game against a depleted Philippines. 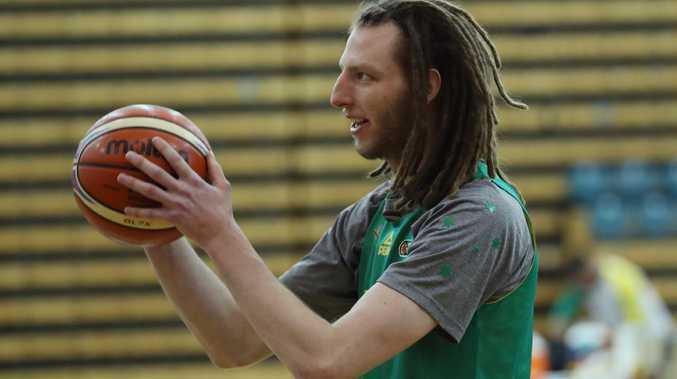 Boomers coach Andrej Lemanis said the qualifying double-header, which wraps up on Monday night against Qatar, will be another chance for players to audition for World Cup selection. "We're still working through that (Iran team) but they're a good basketball nation," Lemanis said. "We had a great battle with them in the gold medal game of the Asia Cup and I know they'll be keen to try to turn the tables on that." The Boomers were unbeaten in the Asia Cup last year and defeated Iran by 23 points in the decider. 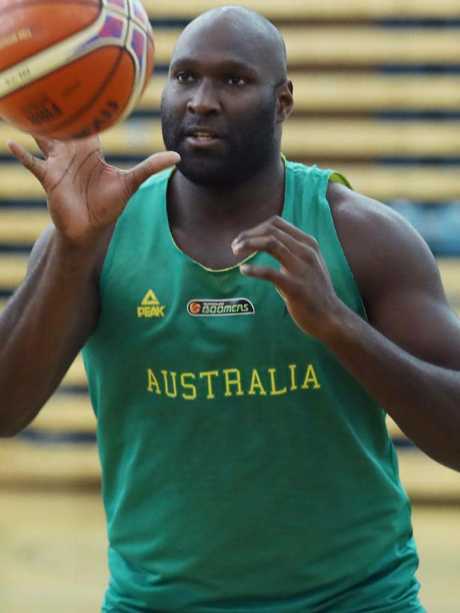 Taipans star Nate Jawai has been recalled to the Boomers line-up. Australia's 12-man squad includes Melbourne United trio Mitch McCarron, David Barlow and Boomers debutant Craig Moller. Only a handful of the NBL-based players, however, will make the World Cup grade with NBA exports Ben Simmons, Joe Ingles, Dante Exum, Aron Baynes, Patty Mills and Matthew Dellavedova walk-up selections, subject to availability. Lemanis declared Dellavedova a "good chance" of playing in the World Cup despite the Olympian being starved of minutes at Milwaukee Bucks. "Delly's got a body of work already with the Boomers," Lemanis said. "He's someone who absolutely loves playing for Australia and is 100 per cent committed, if he's healthy and available for selection I'm sure he's a pretty good chance of being selected." Dellavedova suited up for the Boomers during the last qualification window, including the now notorious Philippines basket-brawl. Boomers coach Andrej Lemanis watches over training. Australians Mitch Creek, Chris Goulding and Kevin Lisch will also vie for spots despite sitting out this qualification window. "We're really fortunate at the depth of talent we have in Australia and not only the skill level but the attitude of the players," Lemanis said. "A lot of these guys understand they won't get an opportunity at the World Cup, or potentially the Olympics, but they're doing a lot of the heavy lifting now. "The reality is, no matter how many players we have in the NBA, not all of them will be available. "Something always happens, history shows somebody gets injured, somebody has an issue with a contractual situation … whether it is one spot or three spots, who knows, opportunities will present."